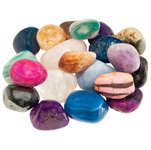 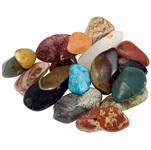 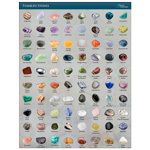 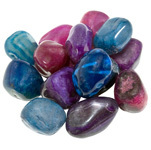 These polished and tumbled stones from Brazil are our most popular mix. 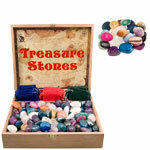 Contrasting whites and shiny black combine well with a rainbow of colours. 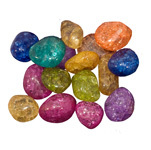 Treasure mix contains coloured agates, amethyst, hematite, quartz (white, rose, green and blue), sodalite, treated citrine and assorted jaspers. 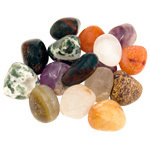 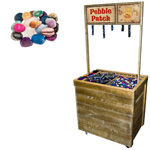 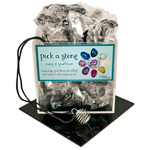 This is a great mix to use on its own, especially with our jewellery cages, but also works well when added to other stone mixes to suit the desires of your target customers.